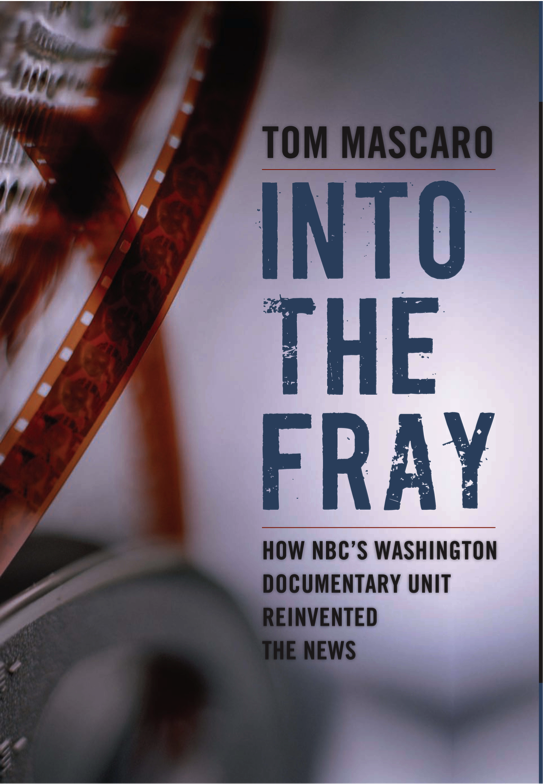 Tom Mascaro is the author of Into the Fray: How NBC's Washington Documentary Unit Reinvented the News. He teaches media history at Bowling Green State University, and he lives in Livonia, Michigan. Q: You write, "My purpose is to fill in the historical narrative of NBC news and documentary, which is lacking compared to the bibliography on CBS." Why do you think there's been more written about CBS? A: One chief reason is Gary Paul Gates, a veritable chronicler of CBS News. Air Time: The Inside Story of CBS News is a classic. Gates also contributed to books by Dan Rather (The Palace Guard); Bob Schieffer (The Acting President); and Mike Wallace (Close Encounters and Between You and Me). CBS’s editorial courage on subjects like McCarthyism, The Selling of the Pentagon, or Vietnam intelligence disputes have generated much literature. The Murrow biographies and Fred Friendly’s books established useful frameworks for others. CBS has been a beacon of broadcast journalism since World War II, so its health is a bellwether for journalism and the nation, which is why Who Killed CBS? The Undoing of America’s Number One Network, by Peter Boyer, is another classic. Reuven also famously wrote, “The highest power of television journalism is not in the transmission of information but in the transmission of experience.” This helps explain the logic and importance of the documentaries produced by the NBC Washington unit and chronicled in Into the Fray. Q: Three of the major figures in your book are David Brinkley, Ted Yates, and Bob Rogers. What did each of them contribute to the legacy of NBC News during the Cold War period? Yates is a pioneering figure in NBC News and American journalism history. Although Rogers was the better writer, Yates was still a gifted storyteller. But he was also extremely committed to and courageous about reporting from dangerous sites of Cold War struggles in Latin America, Congo, and the Middle East, where he was killed. Yates had a sense of the overall. He was not content to produce just one program on Vietnam; Yates led the production of The Battle for Asia, a prescient documentary trilogy on Thailand, Laos, and Indonesia that revealed the full sweep of the Cold War in Southeast Asia. He was the first to appear as an on-air correspondent and producer-director of documentary programming, made most evident in his award-winning coverage on Santo Domingo: War among Friends. Rogers established standards of in-depth research, a practice of seeking out all available voices on a region or issue, peerless writing (especially the blend of word with image), and making the best possible call on a story based on the evidence. Rogers won the Writers Guild Award two times for NBC documentaries. 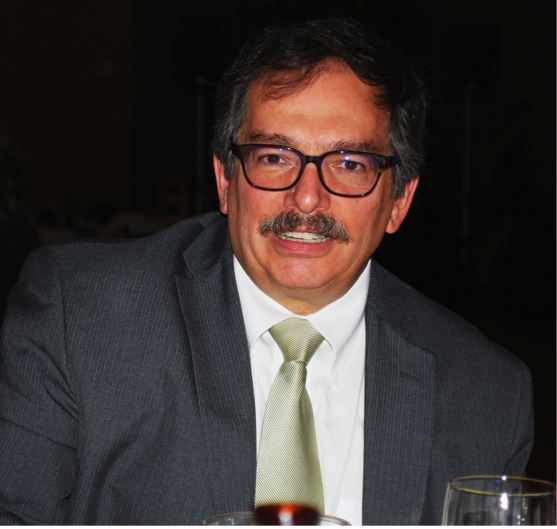 He mentored a coterie of women researchers and associate producers and bequeathed his Jesuit-inspired standards to those who were able to work with him. Rogers also took up the mantle of the NBC Washington documentary unit after the death of Ted Yates in 1967 and kept the unit viable until his death in 1989. His career spanned the life and death of the Berlin Wall—all as a documentary news producer for NBC—and Rogers reported and produced numerous reports on Cold War issues. Q: What impact did the Vietnam War have on the journalists you write about? A: It varied. Cameraman Jim Norling always had a bad feeling about Vietnam, although Jim went to many dangerous parts of the world. He filmed Papa Doc Duvalier with a machine gun pointed at his back; he took machine-gun fire in Santo Domingo; and he was shoulder-to-shoulder with Yates when Ted was shot in Jerusalem. Norling was fearless but had reservations about covering Vietnam. Julian Townsend shot one of the most important documentaries ever on the subject, Vietnam: It’s a Mad War (1964, before the escalation). His footage is extraordinary! Townsend also shot the Congo program and the trilogy on Southeast Asia, including going back to Vietnam. He understood Vietnam was a singular war and a regional conflict, and he knew how to cover it on film. But he too began to worry about how risking his life risked his family’s livelihood. Vietnam taught Yates to look at the bigger picture. He saw (and wrote about) the beginnings of what he viewed as “World War III,” in which hundreds of small proxy wars around the globe were putting peasants at risk under the thumb of Cold War superpowers. Vietnam sensitized Yates to how U.S. policies favoring right-wing dictators or military governments and oligarchs versus communist efforts to appeal to the resultant poverty of Latin Americans and Southeast Asians, created conditions that pushed the poor, the peasants into the arms of communist revolutions at the same time the revolutions risked their lives for an ideological struggle. Vietnam taught Yates to see the interconnectedness of U.S. foreign policy. Rogers—who was a distinguished military officer, intelligence analyst, and general’s aide—had a Graham-Greenesque sense about Vietnam. He saw the end at the beginning. It was Rogers who pointed NBC cameras at the French gravesite outside Saigon (Ho Chi Minh City) warning of America’s fate—in the summer of 1964. The person most affected by Vietnam, though, was Judy Bird Williams. Judy was hired as a researcher, equal in college credentials and ability to any of the men, but suffering from the 1950s mores for women, translated into low aspirations. Williams pushed her way into the program on Indonesia, part of the Southeast Asia trilogy on the widening Vietnam War. As a result of her impeccable research and understanding of the region’s cultures, Williams contributed to a signature documentary, Indonesia: The Troubled Victory. Emboldened by her success, Judy left NBC and became an independent journalist in the region for many years. Q: What do you think of NBC News these days, and how does it compare with the era you examine in the book? A: Despite real concerns about contemporary society’s lack of appreciation for serious journalism and competent journalists, I still believe all of the broadcast networks continue to feature highly skilled reporters, especially on foreign affairs. Richard Engel at NBC is a one-man global hot-spot reporter, complemented by Senior Foreign Correspondent Keith Miller, and others. Andrea Mitchell continues to inform and educate NBC and MSNBC viewers about foreign affairs policy. Jim Miklaszewski is a stalwart Pentagon correspondent. The issue is not people or the quality of the reporting at NBC or any respectable news network. It is a lack of personnel and bureaus for expansive foreign coverage compared to the era of the NBC Washington documentary unit; lack of interest in regular documentary journalism (Frontline being the notable exception), and the regulatory devaluation of documentary journalism caused by 1980s FCC policies and the relaxation of anti-trust regulation. Documentary journalism by nature challenges the status quo and society to stop looking at the mythology of popular culture for a moment and take stock of some reality. The global conglomerates enabled by relaxed anti-trust regulation have subsumed network news divisions into enterprises that drown out and diminish the valuable journalism still produced by network news and many media organizations. It may also be more difficult today to duplicate the kind of in-depth, on-site documentary filmmaking that Yates, et al, did in the 1960s and through the 1980s. The dangers to journalists in the present have amplified exponentially. Perhaps because of the impression that America “won the Cold War,” average citizens and media executives believe there’s no longer a need for broadening rather than contracting our collective news footprint. Of course global and domestic terrorism reveal the folly of this position. One of the reasons I wrote the book was not only to honor the legacy of Ted Yates, Stuart Schulberg, Bob Rogers, Judy Bird Williams, and their compatriots, but also to show—by recreating the history of the documentary era—what we are missing and what we have lost. Only PBS honors the network tradition of regularly scheduled, prime-time, long-form documentary journalism. So the difference is there was no PBS then and the networks were committed to serious documentary journalism, because society expected them to be. A: While researching and writing Into the Fray, I became more interested in the field of “engaged” writers, men and women who believed in taking action and writing to rectify social wrongs. I found similarities connecting Yates, Schulberg, and Rogers to familiar journalist-novelists, Hemingway, Gellhorn, Saint-Exupéry, Camus, Sartre, Beauvoir, and others. I’m working on an article about their history and philosophy. I think in our 24-7 info-atmosphere, part of what is missing is a sense of philosophy or set of common values, which has been replaced by falsely equating opinion with evidence. The engaged writers delved into realities to understand human conflict. I’m also preparing the proposal and draft of the second book about the NBC Washington unit, which has the working title “Our National Self-Respect: The NBC Washington Documentary Unit of Robert F. Rogers,” which carries the story through 1989 and the end of network documentaries. A: I sincerely hope journalists and general interest readers will engage the story of Ted Yates. Yates was the heir-apparent to Edward R. Murrow in the color television age, but he was cut down at age 36 while reporting from Jerusalem during the first hours of the Six-Day War. He was a colorful, well-loved figure whose story has yet to be appreciated. I think readers who want to know the story of Ted Yates will find a compelling tale in Into the Fray, as well as a saga of a band of brothers and sisters who devoted their lives to thoughtful documentary journalism in service to human freedom everywhere. --Interview with Deborah Kalb. This Q&A can also be found on www.hauntinglegacy.com.